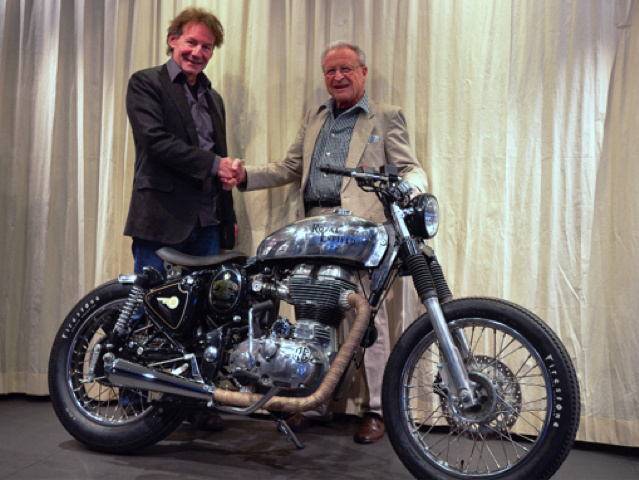 After more than forty years since the foundation of his business, Fritz Egli announced today that he found an agreement for his succession, and that backdated January 1st 2015, Swiss entrepreneur Alexander Frei acquired all shares of Egli Motorradtechnik AG. Fritz said that he will remain as technical consultant to the new business. For more details, see the included press release and annex. Please tell me that Royal Enfield monstrosity is not what will be produced? BikeExif calendar girl from 2009…soon to be parked next to fat-tire choppers. What do you know about Frei? Any word on his intentions? Thanks for breaking the story, Philippe!